YANGON – Myanmar police are hunting dozens of escaped inmates who hijacked a delivery truck and smashed through the gates of their jail in a daring prison break on Sunday, officials said. 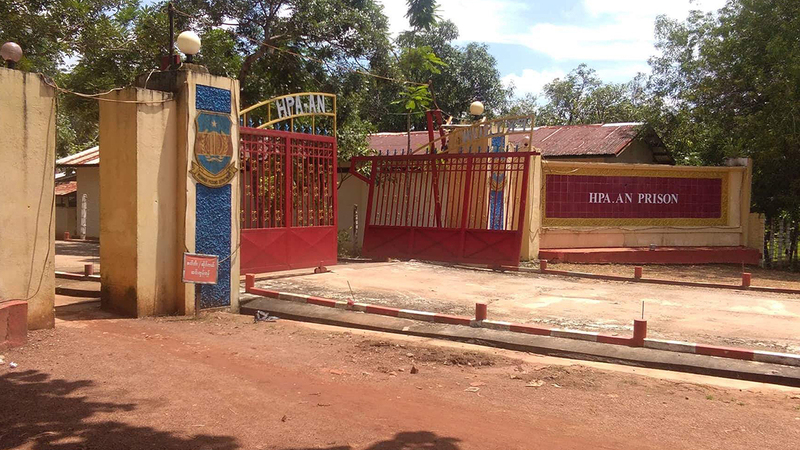 "They attacked a prison officer, wounding him, and drove the truck out off the prison," local official Khin Thet Mar told AFP. Citing conflicting reports from police and prison officers, she said the truck had either gone in to drop off sand and stone for construction, or to take out garbage from the facility. The inmates drove through the prison gates, she said. Khin Thet Mar warned locals to contact authorities if strangers appeared in their villages. Photos showed one side of a large prison gate wrenched off its hinges by the force of the truck crashing through it. Forty-one prisoners escaped, according to state police chief Aung Myat Moe, but three have been recaptured while the hunt intensifies for the rest. Archive photographs of the prison, which holds around 2,000 prisoners, shows a large sign in English on the outside reading "Kind but Firm".